Note from MEC: The Reformed Teacher Observation Protocol (RTOP), a standardized means for assessing lesson design, content and classroom culture was used to measure changes in classroom practice. The RTOP was administered in spring of Year 1 prior to the start-up of the MEC MSP work. It was administered again in spring of Year 2 and in spring of Year 3. These new teacher leaders, Regional Math Support Team teachers (RMSTs) have expressed a desire to have the RTOP administered over the next few years as they now have a clear vision of what they’re working toward in their classrooms, and are convinced their practice is only going to get better. Whether or not the changes in classroom practice are lasting is an important question, and following up in this way would be an optimal next step. For information about the professional development program these teachers participated in, CLICK HERE. 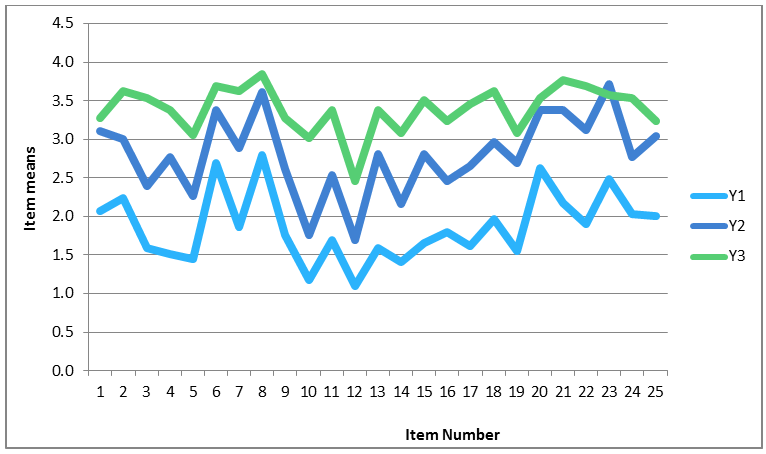 Note from MEC: The RTOP contains 25 items, each on a scale of 0 to 4. 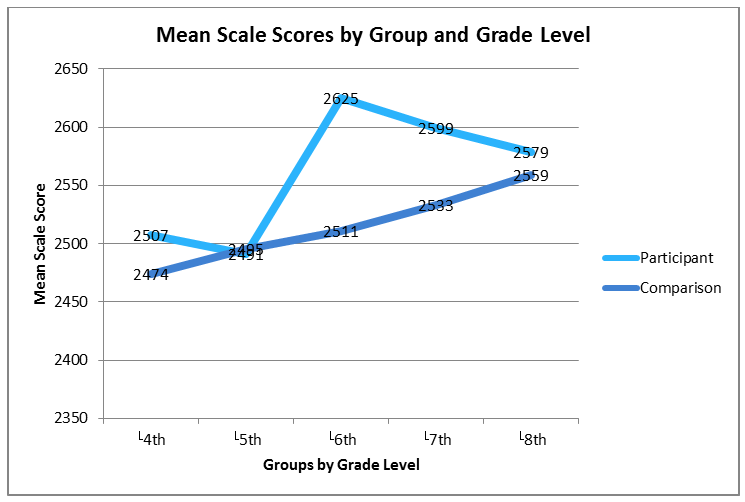 NOTE FROM MEC: This Smarter Balanced Assessment student data is from spring of 2015, just two years into the intervention. The participant group consists of students of MEC MSP teacher participants, now new teacher leaders. The data are from students of the 30 teacher participants who teach in 29 different school districts throughout the State. 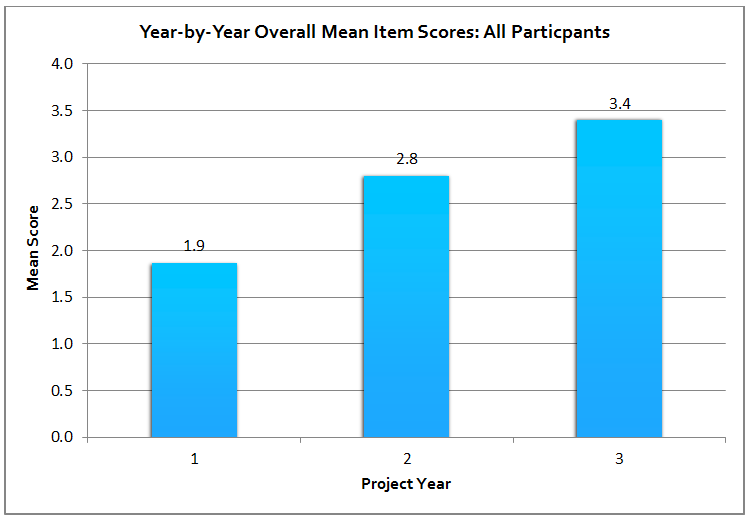 The findings revealed strong SBA performance by students in participating classrooms and offered a robust conclusion to the project. 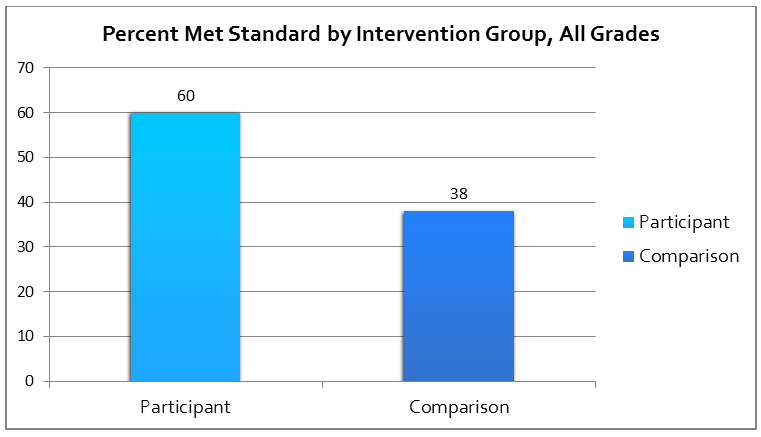 Meaningful to administrators and others is the percent of students who met the standard. 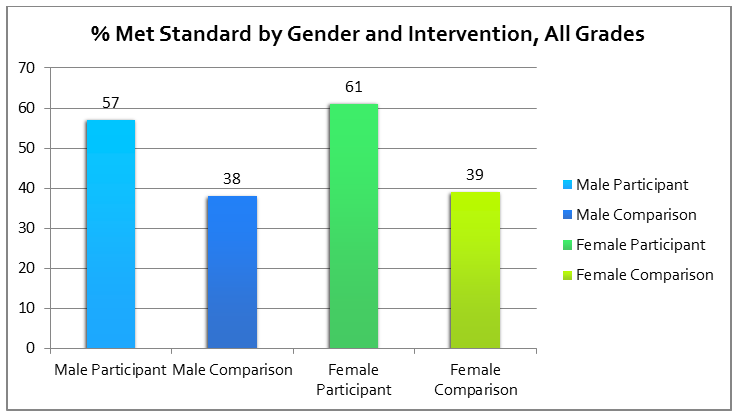 Differences were impressive: overall, 60% of participant students met state standards compared with 38% of their comparison counterparts. 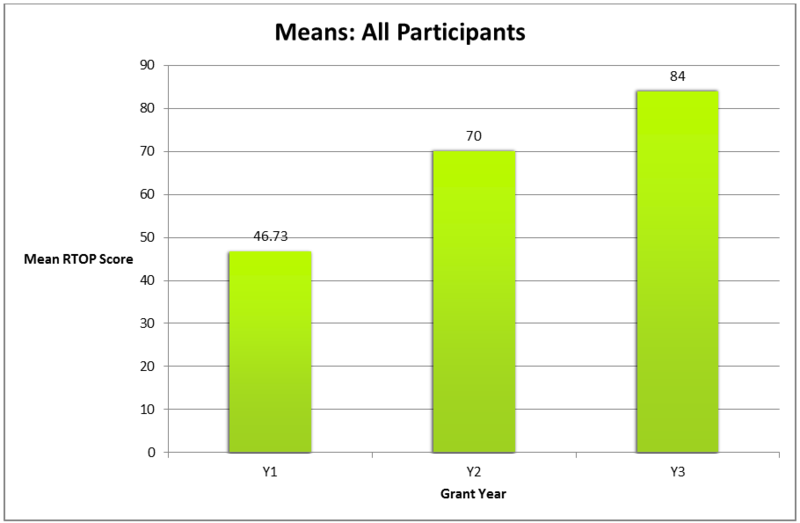 Note from MEC: In the disaggregated data that follows we see both success and sites for further growth and study. 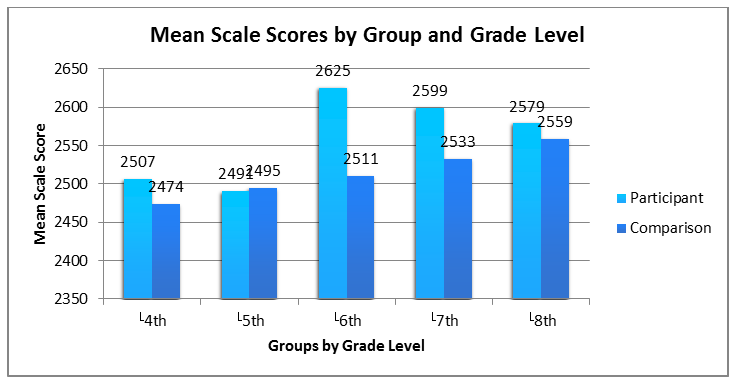 Remembering that this data represents students who had only one or two years at most in transformed classrooms, we are left wondering what is possible were students to have multiple years in such classrooms. 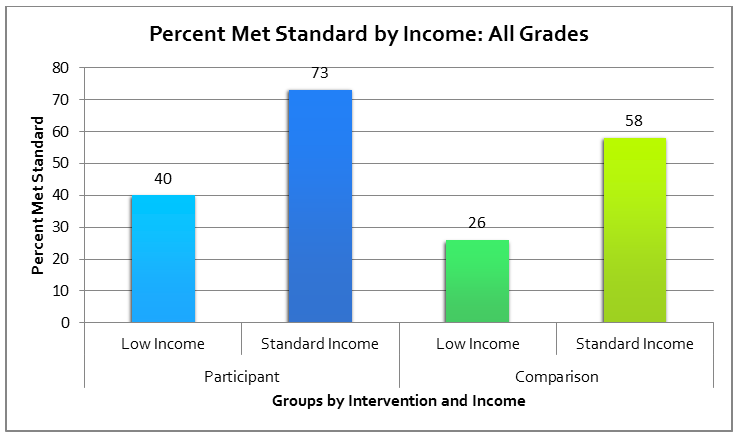 Clearly an income achievement gap still exists, as well as gaps between different ethnic groups. There is much work left to be done on those fronts. Yet we are encouraged by the significant progress demonstrated across nearly all demographic groups.